Getting my new whip ready for inspection and discovered my horn has issues. The horn was disconnected from the bumper and now I know why. It won’t stop blowing when I hook the wire back up to the actual horn. I removed the horn assembly on the steering wheel and and for obvious reasons it stops because the mechanism is no longer grounded. I tested the ground wire on the steering wheel and can hear the relay clicking when I disconnect the actual horn so all is good with that. Everything makes sense up till now. Problem is, when I connect the ground wire the assembly and attach it to the steering wheel the horn won’t stop honking. I assume it’s staying grounded when I hook it up. Been troubleshooting it for a little while and I’m wondering what the issue might be. Any thoughts? You have the correct pieces for the horn pad. The only thing I didn't see was the contact button but not sure if the batwing horn had one. Any advice is appreciated. Thanks!! That pad is for a 72-76. So unless you have a 70-71, there in no button, There should be a brown wire that connects to the little metal tab at the back of the pad. If you do have the correct horn pad just make sure it isn't installed upside down. 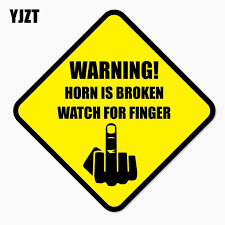 This will cause the horn to make contact due to mis-alignment. Also do an inspection of that rubber boot for cracks. First--when you move the wire up the steering column so that the connector on the end is not touching a ground, does the horn still sound? If it does, you have a short somewhere and need to find it. If that stops the horn from sounding then the circuit is probably OK. Check for electrical connectivity between the inner metal part visible in your photo and the outer metal part that has the tab in it. There should be ZERO connectivity, infinite resistance. If you have a short there, that is the cause of the horn sounding. There should be plastic spacers and washers between the inner and outer metal parts there. If someone put metal washers in, the screws will make contact with both and will cause them to be electrically connected together. Lastly, make sure that the wire doesn't get pinched against any metal bits when you put the button back on the wheel, and that the rubber "boot" actually pushes the button away from the steering wheel when you're not pushing it down. Haha!! Man I’ve been trying every combination for the inside parts of the horn assembly and no luck. The rubber boot does seem a bit worn and the plastic has hardened and I’m wondering if this may be the issue. Thank you! The horn only sounds when I make contact with the ground wire so it is working. I’m not seeing plastic spacers in this assembly and did some research on it. I also don’t see where others have plastic spacers unless I’m missing something. I’ll keep researching. May just have to break down and buy another steering wheel with a horn that works to pass inspection in the meantime then work on my old one. Unscrew the three screws in your pic. 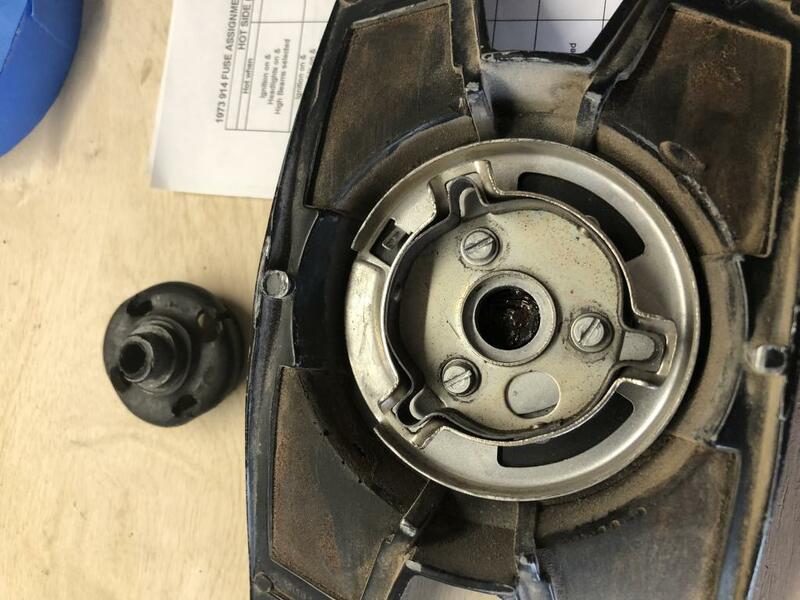 There should be three plastic washers to isolate the inner puck with the springs that clip onto your wheel from the larger metal base that the ground wire connects to. If they are missing, you'll be completing the ground circuit as soon as the horn pad is clipped onto the wheel and the horn will go beep. You can just go to the hardware store and pick up some plastic washers to insert there. The goal is to have metal to metal contact between those two pieces only when the horn pad is pressed. I'm betting that's the problem, but if not, the rubber spring cup being worn out would be the next suspect. Okay great I understand thank you. Yes in fact the plastic washers are missing between the baseplate and the spring puck. I’ll give it a shot and report back. This is my final task to get the 914 ready for inspection. Also plastic washers under the screw heads. Otherwise there may be a ground path through the screws. Yep that was it. 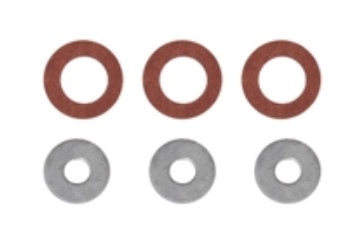 Picked up some nylon washers similar to the ones pictured. Put it all back together and works like a charm. Thank you for your help! !